82% of calories in avocado fruit come from fat which makes people very sceptical about its positive effect on weight issues. This negative misconception about avocado calorie content reduces its usage. Though calories in an avocado are high, recent research suggested that with the right timing of consumption and exercise, the avocado can be a helpful part of a successful weight management program. 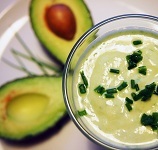 Avocado health benefits: improves your levels of cholesterol. Not many people will have quick weight loss as a result of increasing their avocado consumption; however, the more slowly one loses weight - the less likely one is to regain it. In the calories avocado chart below you can see the content of calories per one avocado depending on the avocado size and calories per serving. Compare the Avocado calories with the other calories in fruit. 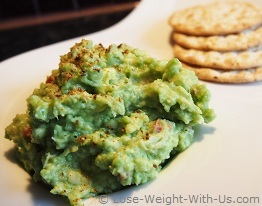 Ingredients: 2 small ripe avocados, juice of 1/2 lime, 1 garlic clove, 1 small chilli, cajun blend seasoning, salt and pepper to taste. Mix the peeled avocado with all the ingredients in the food processor until smooth. Alternatively, you can use a potato masher for the avocado and finally chop the other ingredients. Serve with a pinch of cajun blend over the top. Enjoy losing weight with our avocado diet recipes below. 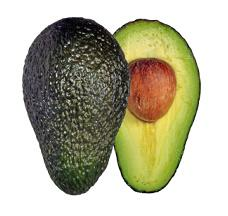 The avocado is the most nutritional of all fruits containing protein, fat, fiber, vitamins and antioxidants. It contains 3 times as much vitamin B6 per gram as a banana – vitamin B6 is important for the nervous system, teeth and gums and blood cells. Read more about Avocado nutrition facts and health benefits of Avocado. No steak fajitas would be complete without guacamole. Cooking time 1 hour 15 min if you need to marinate the meat or 20 min if you go for the quick option - grill the steak as is and add lots of chillies. There are 287 kcal and 5g of net carbs per portion. Use avocado, bacon, tomato, lettuce, parsley and our wonderful avocado salad dressing to make a quick salad - you only need 15 min to do so. 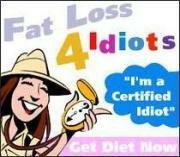 The recipe is very nutritious, low in carbs, calories, glycemic index and it's very tasty. Our quick and easy avocado, cucumber and cottage cheese soup will make a healthy lunch or a snack in just 5 min. The recipe is low in calories (197 kcal), carbs (4g of net carbs), good source of fiber, vitamin C and folate.